Saturday Night Live has launched the careers of numerous comic stars, but few have been so bright as Gilda Radner. A member of the original SNL cast alongside Dan Aykroyd, Chevy Chase, and John Belushi, Gilda had an infectious smile and playful talent that helped establish the legacy of television’s longest-running sketch comedy series. Her characters included Roseanne Roseannadanna, the quintessential New Yorker who disparages New Jersey and talks bluntly about her bodily functions; Emily Litella, based on Gilda’s nanny, was the old maid who doesn’t understand modern trends; or Lisa Loopner, the awkward spaz whose slobby boyfriend Todd, played by her co-star Bill Murray, gave her noogies and sloppy kisses. Gilda’s characters were so memorable because she put herself into them. Each came from an intimate place in her life to the extent that her body contorted to the posture of each in unique ways. After her five years on television and a few movies, she left the public eye to concentrate on herself. She struggled with bulimia, found a perfect love with her third husband Gene Wilder, and at the age of 42, died all-too-soon after a long battle with cancer. 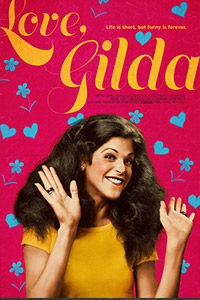 Love, Gilda is first-time director Lisa D’Apolito’s ode to Gilda Radner. 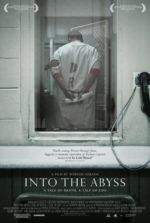 It comes on the heels of several documentaries about the complex, hilarious, and tragic lives of comedians. 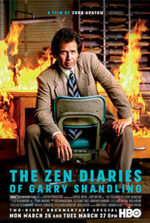 But rather than an in-depth analysis and personal investigation, like the one Judd Apatow delivered a few months ago in The Zen Diaries of Garry Shandling, the film provides an unabashedly affectionate overview of her life and career, similar to this year’s Robin Williams: Come Inside My Mind. Several hours shorter than the former and about 30 minutes shorter than the latter, Love, Gilda isn’t a detailed exposé at 84 minutes, but it does provide a loving appreciation of its subject. The format is familiar, comprised of talking head interviews with those who knew and admired her. Her SNL writing partner Alan Zweibel, costar Laraine Newman, and producer Lorne Michaels provide first-hand accounts, whereas Amy Poehler, Bill Hader, Maya Rudolph, and Melissa McCarthy read from Gilda’s detailed, vulnerable, and often hilarious journals, while also offering their commentary on Gilda’s inner thoughts (a curious choice). Before long, Gilda was a household name, celebrated by millions of viewers every Saturday. The show’s exhausting schedule wore her down over the years, her bulimia became a significant problem, and she struggled to secure projects outside of SNL—whereas many of her costars arranged successful movie deals. “I’m a rising star with heavy chains attaching me to a hard ground,” she wrote in her journal. She freed herself from those chains with her successful one-woman show, Gilda Radner Live on Broadway, followed by the filmed version directed by Mike Nichols, Gilda Live (1980)—a favorite of this critic, growing up. It was a personal, hilarious, and sometimes bittersweet show, and memorable for its honesty. Much of the latter part of the documentary involves her on-and-off battle with cancer, her relationship with Gene Wilder, and the movies she made that hardly showcased her talent, among them Haunted Honeymoon (1986). One of the highlights, however, remains an appearance on “It’s Garry Shandling’s Show” in 1988, where Gilda became one of the first comedians to turn her cancer into a joke. D’Apolito presents a straightforward biographical documentary with Love, Gilda. She at once mourns the loss of an effervescent life cut short by a cruel disease, and she suggests that Gilda lived her life to the fullest. 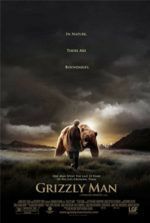 It’s hardly a critical biography; it’s not a sensationalized one, either. The doc seeks to encapsulate what Gilda’s comedy—so rooted in exploring her inner child and embracing the various aspects of her adult personality—and life were like. It’s obviously been made with a lot of genuine affection and admiration for its subject. And why not? Gilda sparkled (she even named her beloved dog Sparkle). After her death, Wilder honored his late wife by founding a cancer treatment center, Gilda’s Club, which now helps victims in locations across the country. Her influence is still felt, and her comedy remains timelessly funny. After all, watching any one of the many clips of Gilda’s performances throughout the film results in instantaneous joy from that beaming smile, that energy, that silliness. No matter how conventional a documentary Love, Gilda may be, it’s deeply felt and appreciated.